A testament to the popularity of Sushi Seki’s fine cuisine, their Hell’s Kitchen outpost has just began their weekday lunch service. 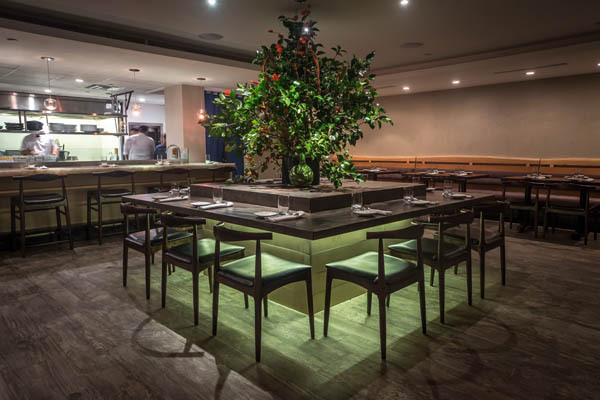 Significantly bigger than the Upper East Side boite, the West 46 street location exudes the same minimalist Zen aesthetic that spans 2 floors with the sushi bar upstairs and main dining area downstairs replete with tatami rooms, a communal table and 12 ‘Chef’s table’ seats overlooking the kitchen. Amongst sushi insiders, Chef Seki is known as the master of the art of sashimi and his artistry is an inspiration to other chefs. Dedicated to his craft, Chef Seki hand picks all of his sashimi the night before the opening by selecting the best fish from markets all over the world online. Based on seasonal availability the freshest fish is flown in daily. 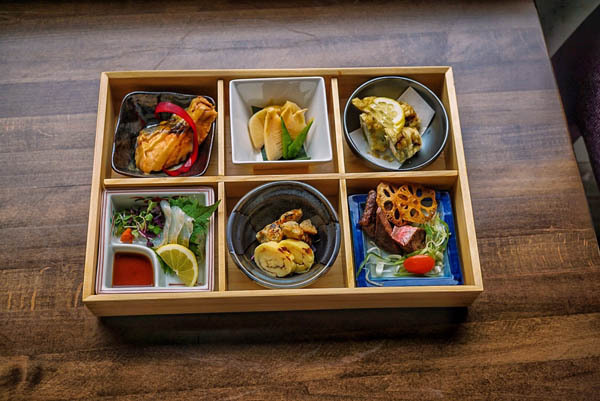 Applying the same principals used in developing the artful kaiseki menu available for dinner, the Omakase Bento box is available during lunch for $45 and served all at once for diners to adhere to diner’s lunch schedules. The Omakase « kaiseki » Bento box changes daily and showcases a collection of delicately prepared small dishes of each season from the land, sea and mountain. For those looking for a hearty lunch, choose from classic noodle bowls to the Udon lunch set that features a donburi rice bowl filled topped with mouthwatering toppings that change daily. Depending on the day you can indulge in classic Japanese favorites such as shrimp and vegetable tempura, chicken yakitori, sushi chirashi, barbecued eel, or gyu-don stirfried beef and onion dish. 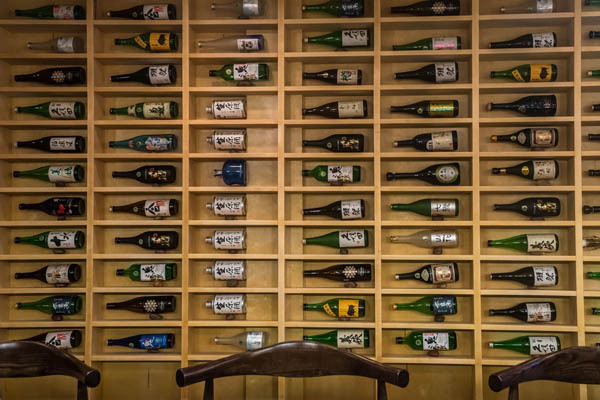 This haute Japanese cuisine is only matched by the exquisite sakes selected by the sake sommelier Yasuyuki Suzuki and the artisanal cocktail and wine program spearheaded by Beverage and Service Director, Rick Zouad. Seki’s creativity might have placed the restaurant on the map but their cocktails are taking them to new heights.